Where Windows has utilities, Linux has tweak tools. And whether you’re a Linux pro or a recent refugee from Windows XP, they can help you make Ubuntu 14.04 LTS “Trusty Tahr” (the latest and greatest offering from Linux distro pioneer Canonical) really start to feel like home. Customizability has long been one of Linux’s most compelling features—particularly when compared with proprietary alternatives such as Windows and OS X—but the tweak tools out there today let you refine the OS even further. And if you’re making the migration to Linux on your workplace PCs, tweak tools can help ease the transition. Here’s how to make them work for you. If you’ve opted to go with Ubuntu’s default Unity desktop interface, try the Unity Tweak tool. 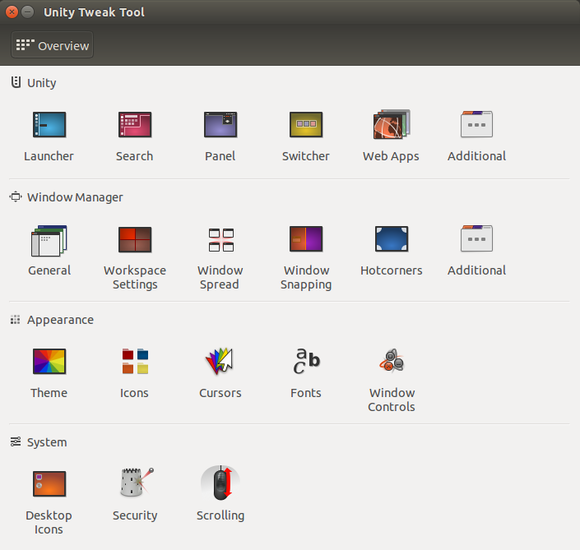 The Unity Tweak tool lets you customize the launcher, cursors, fonts, and many other features of the Unity desktop interface. 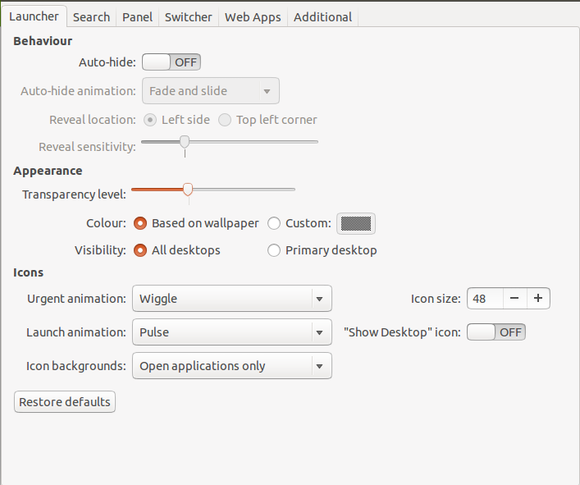 Once you’ve installed it, you can click on Ubuntu Tweak’s icon to launch it, bringing up an overview of all the desktop facets it can customize. 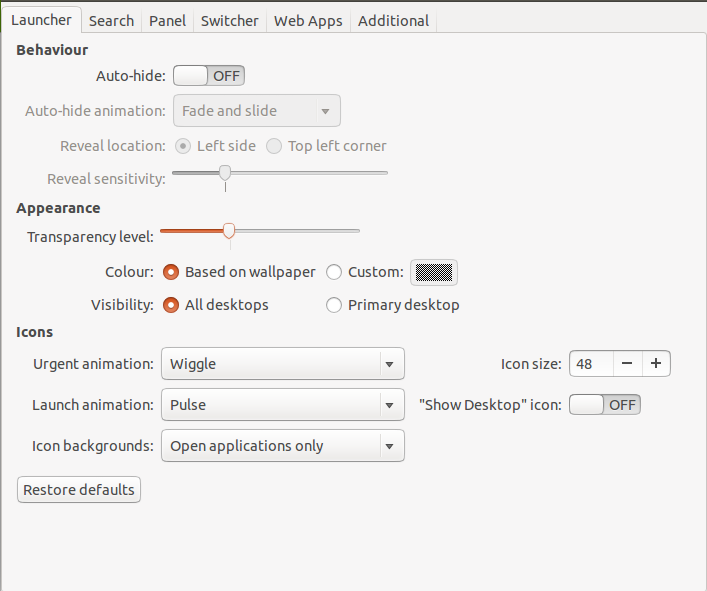 Under the “Launcher” option, for instance, you can tweak that portion of the software’s behavior, appearance and icons. I changed the color and transparency level of mine, for instance, to better complement my desktop background. Customizing the Launcher settings in Unity Tweak. Also available are ways to customize the software’s search functionality along with its panel, switcher, Web apps, and more. Prefer 24-hour time over 12-hour time? No problem—that’s an option. So, for that matter, are power indicators, preauthorized status for select domains, background blur, and more. Now that Ubuntu One is on its way out, for instance, I went ahead and removed it as a preauthorized domain under “Web Apps.” I also changed the default document font in the “Appearance” category. If you’re using GNOME, you either downloaded it from the Ubuntu Software Center onto whichever Ubuntu version you’ve got, or you chose originally to download the Ubuntu GNOME version of Trusty Tahr. Either way, Tweak Tool is the name of the customization tool for GNOME users, and it offers a way to adjust numerous GNOME 3 features that can’t be fiddled with in the GNOME Control Center itself, such as the fonts and themes used in the user interface as well as file manager desktop icons and the icons used in menus and buttons. Tweak Tool allows Gnome users to adjust and manage startup applications, workspaces, and other features. Appearance settings in Tweak Tool. In any case, other capabilities that come with Tweak Tool include resetting to default settings, startup application management, extension management, and the creation of dynamic or static workspaces. 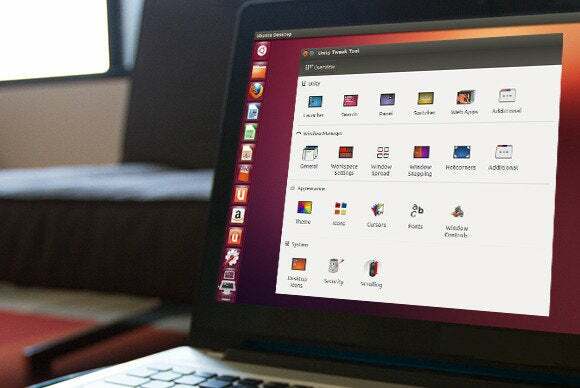 The Ubuntu Tweak project announced a 14.04-ready update just days after the release of Trusty Tahr, and it’s yet another tool to help you customize your Ubuntu Linux experience. Installation instructions are available on the Ubuntu Tweak blog. With Ubuntu Tweak, you can modify settings in the Nautilus file manager. Version 0.8.7 of Ubuntu Tweak can be used to modify 14.04-specific settings as well as more perennial ones. In the Nautilus file manager, for example, users can now enable Recursive Search. Within the Unity desktop, meanwhile, you can now enable a “click to minimize app” feature. Most Linux desktop environments are highly customizable—as is the core of Ubuntu Linux itself. Third-party tweak tools pick up where the distros leave off, however, making them an important addition to any Linux setup.